ANCA, the leading manufacturer of CNC grinding machines, has been inducted into the Australian Export Awards Hall of Fame at a ceremony on Thursday, joining the ‘best of the best’ exporting enterprises in Australia. Pat Boland, ANCA founder and Joint Managing Director, was presented with the certificate of achievement as an Australian Export Award Hall of Fame by Minister for Trade, Tourism and Investment, Mr Steven Ciobo. Mr Boland, who has been awarded ‘engineering hero’ status by the Victorian Government and the 1999 Kernot Memorial Medal by Melbourne University, said he was honoured that his company was recognised as one of Australia’s top ever exporting businesses. 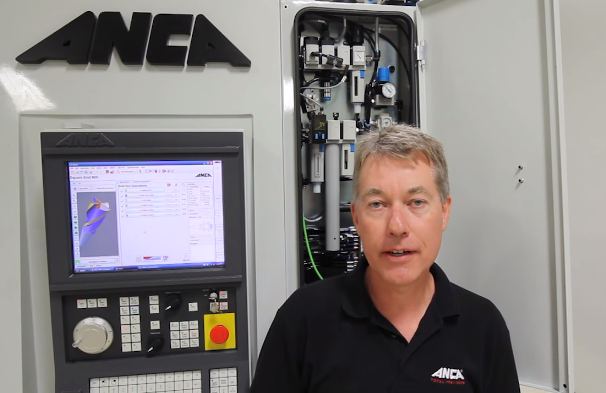 “I never imagined when I founded ANCA with my business partner Pat McCluskey that our company would grow to become the global market leader in its field of CNC Machines. At our core ANCA has a highly talented workforce who are fascinated in technology and our ongoing commitment to innovation has enabled us to continue to grow and succeed in our field,” Mr Boland said. ANCA exports 99 % of the machines produced at its Melbourne headquarters to a wide range of industries including aerospace, medical, automotive, electronics and tool manufacturers.. The company was inducted into the Australian Exporter of the Year Hall of Fame after winning the top accolade three times in 2015, 2012 and 1995. The Australian Export Awards was co-presented by Austrade, the Australian Chamber of Commerce and Industry and CPA Australia, and are recognised as one of Australia’s longest running business awards which bring together an outstanding group of companies drawn from across Australia.